Alcohol intoxication can impair the ability of witnesses to properly recall a person’s facial characteristics, according to new research. The new findings support the alcohol myopia theory — that alcohol reduces a person’s attention to peripheral and non-distinct aspects of a situation. “During criminal investigations when police don’t have enough evidence to identify a suspect, they help witnesses construct an image of the offender’s face from memory, using computer software,” explained study author Alistair J. Harvey of the University of Portsmouth. “While scientific understanding of the factors that contribute to good quality face composites is now well developed, prior to this recent study of ours, no one had considered the role of alcohol intoxication on this important aspect of face processing. Hence, our question: do drunk witnesses produce poor facial composites?” Harvey said. 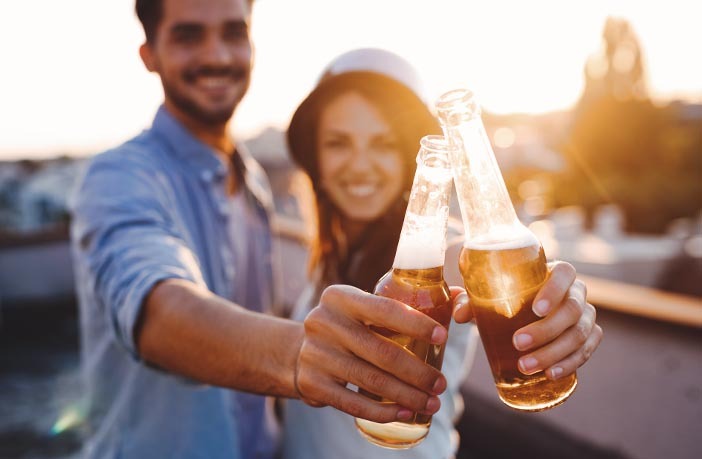 The study of 32 undergraduate students, which was published in the journal Psychopharmacology, found evidence that alcohol narrowed the attention of intoxicated viewers. The participants watched a video of a man or woman describing his or her interests. The following day, the participants then provided a description of the person and were asked to identify features from his or her face from a selection of photos. Some participants received an alcoholic drink before watching the video, while others received an alcoholic drink on the second day before reconstructing the person from the video, and some participants received an alcoholic drink on both occasions. “Alcohol participants who viewed an unfamiliar male target face with short, non-distinct hair tended to construct a poorer likeness of its external features the following day than sober counterparts,” Harvey explained. “So, the bottom line is that drunk witnesses produce composites that are judged generally to be of a poorer likeness to the target face than sober witnesses; and a drunk witness’s construction of the external features of an offender’s face is likely to be poorer than that of a sober witness if the offender happens to have short, unremarkable hair,” Harvey said. “Our study has three key limitations that we are planning to address in future work. First, we have no direct evidence that drunk witnesses are paying less attention to short, non-distinct hair than sober witnesses — we need measures of participant eye movements during face learning to test this claim,” Harvey explained. “Finally, our alcohol participants were only mildly intoxicated (mean BAC = 0.05%) so qualitatively different effects may occur at higher levels of alcohol intoxication,” Harvey said. The study, “Do intoxicated witnesses produce poor facial composite images?” was authored by S. J. Bayless, A. J. Harvey, W. Kneller, and C. D. Frowd.